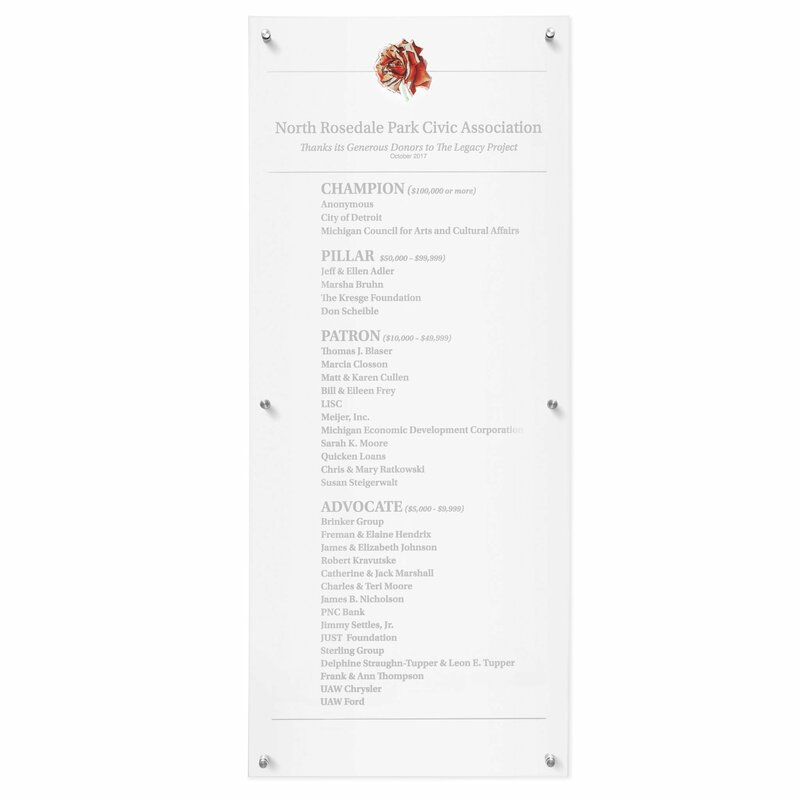 Moderna recognition wall plaques are made with ¼” clear acrylic with anodized aluminum standoffs allowing the plaque to be suspended off the wall by a half inch. This donor wall can hold up to 200 donor names along side, mission statements, logos and other organizational information. If you have more names than 200 consider using several plaques to create your donor wall. Custom sizes are available; During the design phase we can make recommendations based on the content you wish to include. Be sure to pick dark colored lettering if your walls are a light color, or light colored type with a dark colored wall. Moderna donor walls are permanent and are not intended to be updated. This recognition wall plaque is perfect way to recognize donors in multiple giving levels. 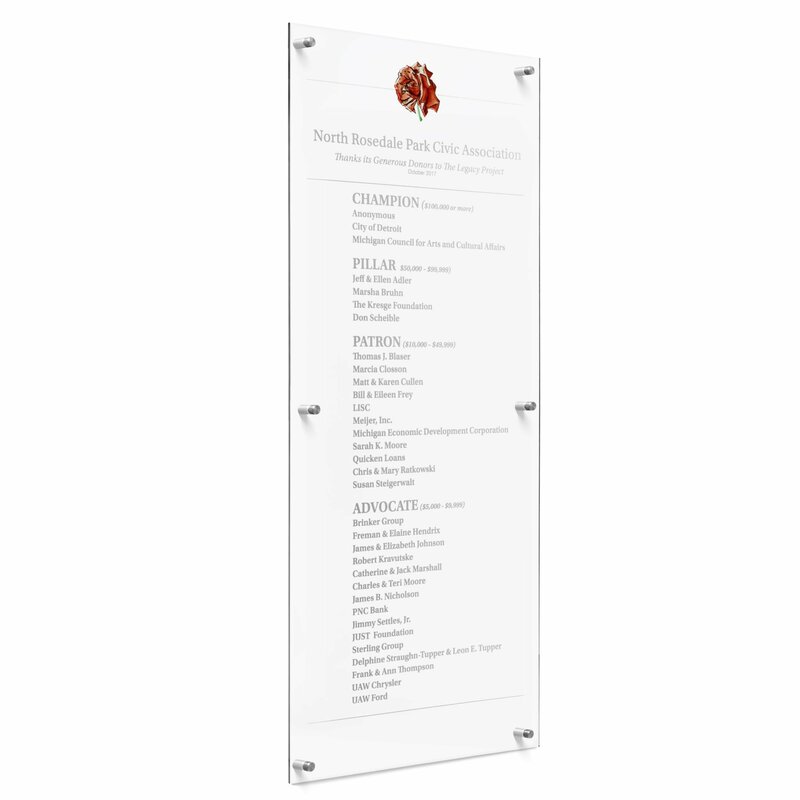 These recognition wall plaques are a clean, fresh, contemporary way to recognize your donors. This simple design works equally well in a contemporary or traditional setting. Fill out the form below to see what your Moderna Donor Wall will look like; Please specify if you have desired font, logos, or color preferences..